The entertainment industry is still trying to drive home to consumers that the future of everything is 3D, but so far buyers have shown some reluctance to open their wallets for 3D-capable HDTVs, then have to open them again to buy extra pairs of 3D glasses in the not-unlikely event more than one person in their household might want to watch TV at the same time. Samsung is trying to take a little bit of the sting out of the 3D glasses situation: beginning April 24, the company will be bundling two pairs of its 3D active glasses with its entire lineup of 3DTVs at no extra charge. The classes normally run about $50 per pair: Samsung is touting the promotion as a value, noting that buyers can now outfit a family of four for 3D content for under $100—well, besides the cost of the 3DTV. Of course, there’s a bit of an exception to the promotion: customer buying Samsung’s D7000 or higher 3D LED TVs or the Samsung D6500 or above plasma 3D TVs won’t get an extra pair of 3D glasses: instead, they’ll continue to get Samsung’s 3D Starter Kit, which already came with two pairs of glasses, along with promo versions of Shrek and a voucher for Megamind 3D, both on Blu-ray. 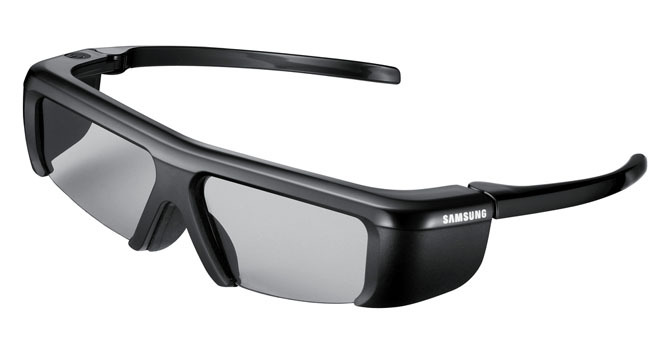 Samsung also says it will be “price adjusting” its complete line of 3D glasses soon.